It is built with high speed Jquery so no compromise on Site speed. You can easily customize it style according to your needs. It has multiple animated hover transactions. Ability to add more than one slider on the same page. Allows to add Six images with transparent background. Works perfectly on multiple browsers i.e. Opera, Chrome, internet explorer and etc. The steps are extremely straightforward and would hardly take 15 minutes to complete the integration so do as mentioned below. Now search for ]]></b:skin> and once you find it, just above it paste the following Styling code. Save the template and half of your work is almost done. Replace Your-Image-Here with your featured images. Remember: Use Transparent images otherwise the background will be hidden and save it in PNG format. Replace Your-Post-URL with your specific URL that you want to target once your visitors will click certain image on accordion slider. All Done: Once you have fully customized your slider go and save your Gadget. 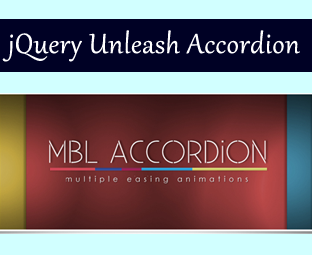 Now go ahead and visit your site to witness incredible unleashed accordion slider. Thanks for the code. It is valuable for me as I am cs student . Once you Find it, Just Below it Paste This Coding. Fornecedor Hollister Los Angeles, Califórnia, Estados Unidos. I started to follow your work recently and I'm quite pleased by their professionalism. I'm beginning to study Html, so obviously I have little understanding. Unable to scan your model because its formatting is inadequate. Make sure that all XML elements are closed properly. XML error message: Element type "script" must be Followed by Either attribute specifications, ">" or "/>". Thank you for sharing it so elegant. This error indicates that you are not properly closing the Script tags. Make sure that the scripts tags are properly closed.